Yeah, I know it's Saturday; but nonetheless, time for our newly-reinstated Friday Roundup in which we list whatever we did during the week, big or small, that inched us toward increased self-sufficiency or self-reliance. 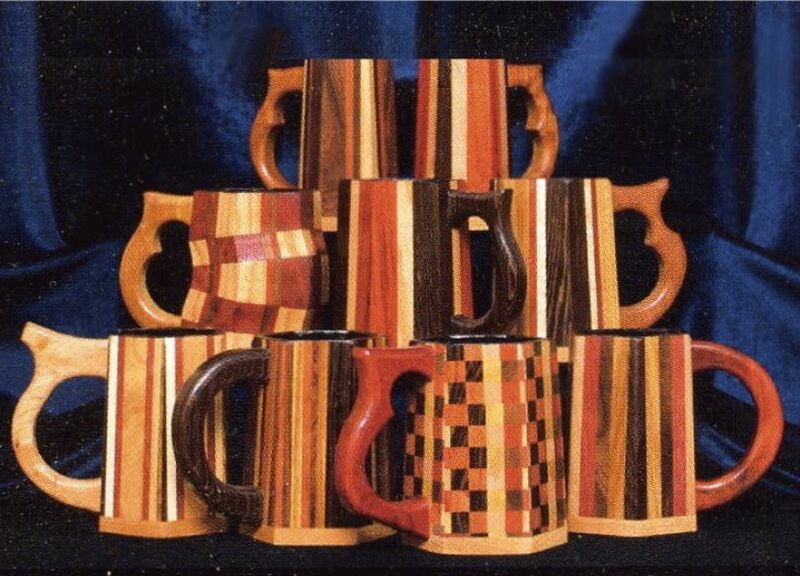 • We bought wood since we're gearing up for a production run of tankards. We're in the early stages of getting ready to sell the business, which -- who knows? -- might become a home-based business for someone else. • I've continued my slow but steady progress in eradicating the unnecessary. 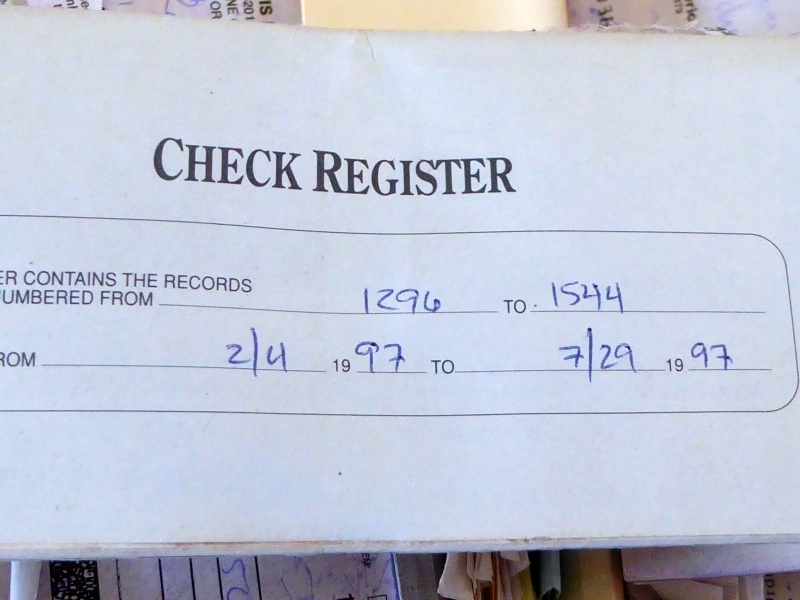 This week I tackled our enormous file boxes of old tax records. You wouldn't believe how far back some of these files went went; how about 1997? 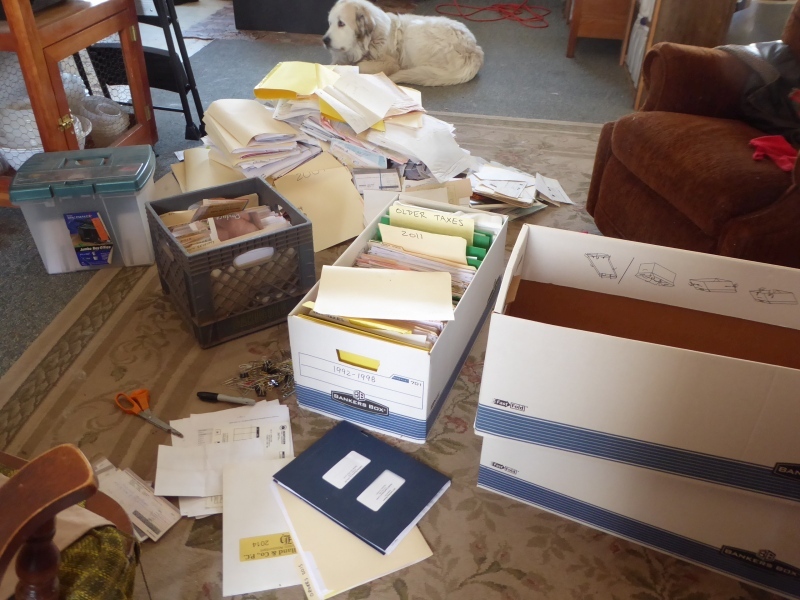 With the blessings of our tax preparer, I cleaned out twelve years' worth of old tax files, records, canceled checks, and other supporting flotsam and jetsam (you can see the enormous pile of discarded paperwork in front of Lydia). The only think I kept were the taxes themselves (one folder per year). When the snow melts off, we'll hold a burn party and send the ashes to the earth. That's about it for us. How about you? What have you done this week, big or small, to increase your self-sufficiency? if you sell your business what will you do for income? Besides my writing and the farm, we have other income sources, a bit here and a bit there, which add up to sufficient amounts to meet our expenses. Multiple income streams are highly recommended for anyone living rural; and we don’t need a lot of money, relatively speaking, since we’ve whittled down expenses over many years of frugality. My preps this week were minimal. We spent some time at the range. I’m getting quite proficient with the AR, and I am also keeping proficient with my Glock. I was pleased. I got several seed starting supplies. Nothing got started due to family situations. We’re making a few home repairs. I have plans finalized as to where my new raised beds will go. I bought more popcorn, salt, chocolate, toilet paper, and canned goods. I organized one closet, making more room for long-term supplies. Prayers for our country and for each of you. Why not do your burning in the woodstove? Way way WAY too much ash up the flue. No finer recipe for a chimney fire. A piece of paper here and there is fine, but to load a woodstove with 100+ pounds of paper (even a little at a time) is just asking for trouble. It was over 50 here today and even sunny by the end of the afternoon. Smells like spring, except this is mid-January. So, even though the mud is just terrible, I went outside and stacked firewood. DH builds wooden boxes that hold half a cord that he can move with the tractor. 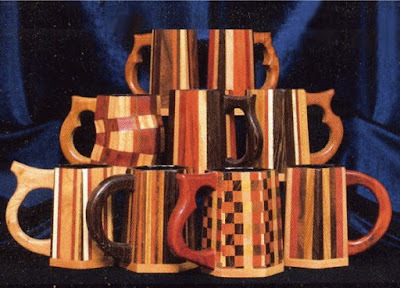 I fill them after the wood has been split. We have found it helps dry/season the wood much quicker and makes it easy to bring the wood up to the house as our stove is in the basement. 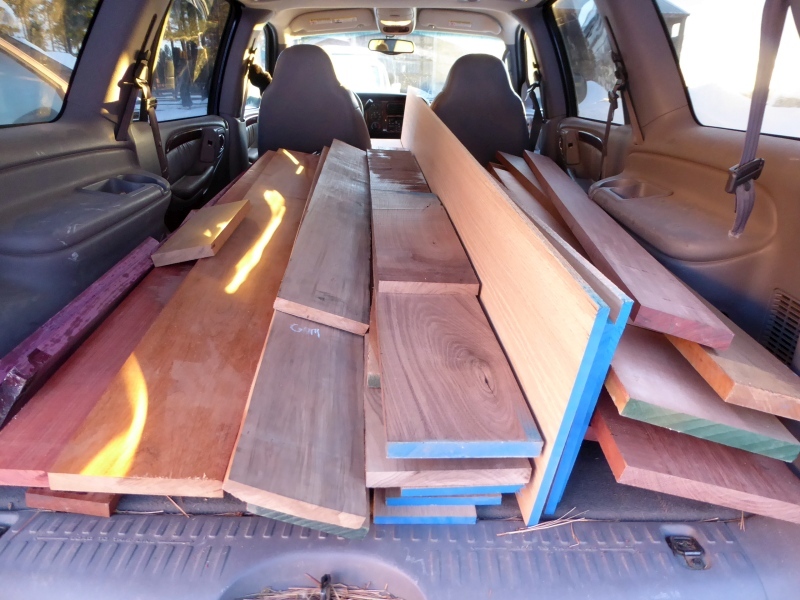 So I went out, stacked wood in 2 boxes and listened to the birds. I read recently that the IRS now has the power to go back as far as they want in an audit. The old statute of limitations in null and void. Ate you sure you want to burn all the supporting documents? We have split and stacked firewood. Got about 4 cords done. Started cleaning up an area on the backnproperty for some primitive camping, and cleaned up the shooting lanes of the deer stand. Have to chip up mountains of limbs/debris to reduce fireload. I'm in a new (old ) home and property. I am getting older so have to find different ways of doing things. I purchased a variety of grow bags and watched numerous videos on how to grow veggies in them. This is temp until I can get a permanent garden in. Moving has given me a golden opportunity to organize my storage pantry better. I bought shelves and racks for cans. Found a local source for firewood. Started my new sewing class at church. Found ideal spot for having "power out" supplies instantly available. Started shopping for a shotgun, Purged my tax files when I prepped to move! I have now one folder for ea year going back to 2006! Went over past 2 years tax returns for medical expenses so we can plan this years medical costs. Part of our budget planning for the next 6 months. Reassessed growing our own veggies in containers as FL soil is NOT easy to grow in with its lack of dirt, sand doesn't count, and proliferation of nematodes. Used a $50 gift card to buy 5 Pygmy Date Palms to plant at the back of the yard, that will give us more privacy for the pool/home and wind protection. Harvested and froze some zucchini - summer's usually too hot to grow them. I know, weird. Inventoried all food and made shopping list for the next 3 months. Included some hurricane preps - can't start too early. not doing much prepping right now as the basic 1 year is laid in. jut filling in thin spots and rounding out the rough edges. dehydrating peas 4 or 5 pounds a week untill i have a 2 gallon pail full. then il LTS it in mylar bag ith O2 absorber. then it's on to corn, then carrot. already stored are red and green apple, pineapple, pears,raisins,and bananas. trump might have bought us a little more time, but letting down is not an option. I cleaned and filled six jugs with water! =) I know that doesn't sound like much, but it's a step in the right direction. We have 5 children, ages 8mo. to 8 years, and homeschool so I have to prioritize everything that needs to be done around here. We want to be self-sufficient! =) Thanks for this "Friday" round-up! I understand completely. We too homeschool with 5 little ones age 8yrs down to 3 months! Prepping it's very limited here as well. I read a couple chapters in our Mini Farming book since we are going to have only about a half acre to work. I went grocery shopping and that's not long term prep but I stunned the woman at the checkout with so much food. The more kids to feed the higher the grocery bill! So I've got big dreams for growing our own food again. And next week we're processing our pigs that live at our in-laws. Blessings to you! Keep up the great work. An inch at a time and we will get there! Wow Sarah D and Learning in NY, 10 children in 2 families being homeschooled. What an awesome gift to give to your children.